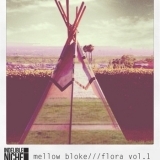 Flora Vol. 1 (this album) (2014). Sorry, no matches on eBay for "A Love In Returned In Full Mellow Bloke".